SmackDown's 1,000th episode took place in Washington, D.C. last night. 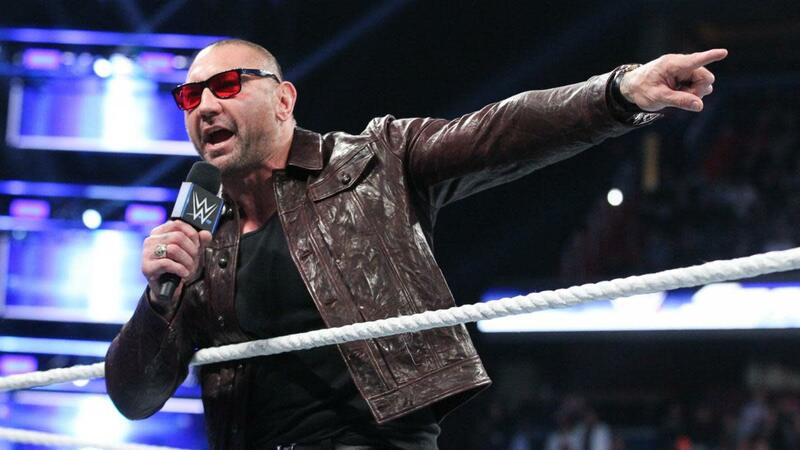 Evolution reuniting led to a tease for a potential match between Batista and Triple H. After a heartfelt promo, Batista brought up that the only thing Triple H hasn't done in this business is beat him. They had a face-off before hugging, but the angle made it clear that the tension between them wasn't gone. Rey Mysterio made his return to WWE and defeated Shinsuke Nakamura to qualify for the World Cup tournament. Due to Aiden English interfering, The Miz also qualified for the tournament by defeating Rusev. The Undertaker made a brief appearance at the end of the show and sent a message to Triple H & Shawn Michaels, a Cutting Edge segment led to a brawl between Becky Lynch and Charlotte Flair, Big Show helped Cesaro & Sheamus become SmackDown Tag Team Champions, and Vince, Stephanie & Shane McMahon appeared on Truth TV.